Margery Cowpland of Henley-on-Thames was arrested in June, 1535, for describing King Henry as an "extortioner and knave" and Queen Anne as a "strong harlot" and a "strong whore". Richard Heath, warned her that he was the king's servant, to which she had replied, "The king's servant" was "the devil's turd". Cowpland was interviewed by Sir Walter Stoner who later reported to Thomas Cromwell that she was a "drunken woman, and as I perceive her she is somewhat straight out of her wits and her husband is out of his mind and hath been this twelve months and more." In August 1536 the mayor of York called on the "king's justices of peace" to investigate "diverse misdemeanors lately committed" in the city at night. These people had broken the 1534 Treason Act as they had posted a series of "bills" that encouraged "debate, dissension and variance". These posters criticized the king's marriage to Anne Boleyn. Eventually a woman named Elizabeth Abney was arrested. Her husband, Thomas Abney, confessed that he had been involved in this venture but his wife's "malicious mind devised the several slanders contained in the bills". In February, 1538, Mabel Brigge, a thirty-two-year-old widow living in Holderness, was investigated for treason. She was accused of undertaking a "black fast", which, they claimed, had been "directed against" the king. 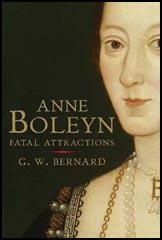 It was claimed that the intention of the fast was to "shorten" the reign of Henry VIII. The career of the Nun of Kent (Elizabeth Barton) was only the most spectacular of cases that led to the passage of a new Treason Act in 1534. Drafts of a new law had been written as early as 1530; the revised act was finally introduced in the November 1534 session of Parliament. After the passage of this bill there was danger in all kinds of words, even the kind we might typically ignore as harmless gossip, wild rumors, or foolish boasting. 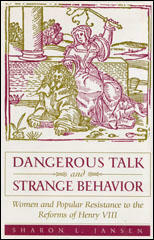 Such "dangerous talk" was not overlooked, however, as the story of Elizabeth Wood makes clear. Elizabeth Wood's case is not nearly so complicated as Elizabeth Barton's. The evidence against her is, in many ways, very slight.